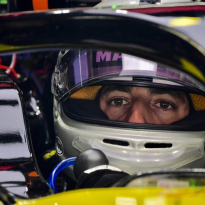 Daniel Ricciardo shouldered responsibility for failing to get out of Q2 in qualifying for the Australian Grand Prix, but hopes a 12th-place start can inspire him to perform better in Sunday's race. Ricciardo missed out on the top-10 shootout by just five hundredths of a second. Saturday's session represented the first time Ricciardo has missed out on a place in Q3 in Melbourne since he was a Toro Rosso driver in 2013. The midfield battle was as intense as ever at Albert Park with Haas, McLaren, Alfa Romeo and Racing Point all getting at least one car into the top 10, making Renault's absence – with Nico Hulkenberg 11th – all the more noteworthy. 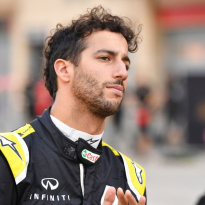 With Renault hoping to pull away from the midfield and move closer to the top three this year, Ricciardo confirmed it was not a matter of the RS19 letting him down. "Not ideal. Being in Q3 was really the target and half a tenth, you can always find that as a driver, so I blame myself," Ricciardo said. "The grip was there to go quicker. It's always painful when you know you haven't got 100 per cent out of it. "Normally if I don't qualify as well as I think I can, I seem to carry a little chip on my shoulder for the race and that normally helps me out. We'll give it some tomorrow." Ricciardo's luck has often been out at his home race, having had a podium taken away from him by disqualification in 2014 and seeing a podium slip through his fingers in subsequent efforts. 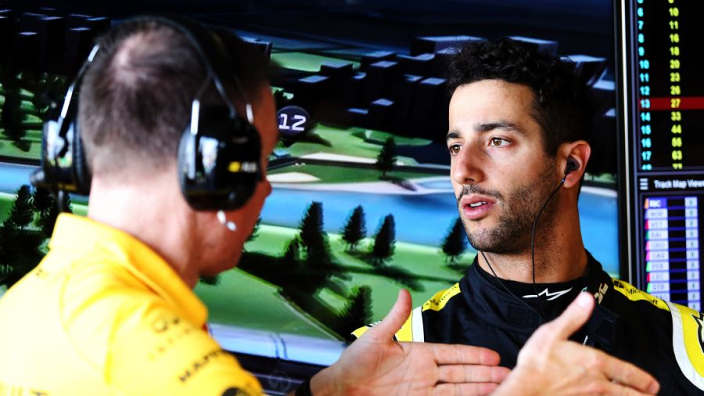 With swathes of blue and red now turning to black and yellow, Ricciardo was disappointed not to give his fans something more to cheer about. Who will win the Bahrain GP? "I race, first and foremost for myself, but part of me was bummed for the crowd today," Ricciardo said. "I know they would have loved to see me in Q3. That's where I felt I came up short, for them. "I've been impressed with how much [Renault] merchandise I've seen around. 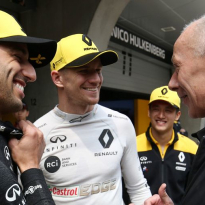 I'm happy Renault is taking some cut from that – I don't, so hopefully whatever they make from that they'll put into some new parts on the car!"